With the diminishing number of oncourse bookmakers and turnover I see the $3000 limit being the right balance. I personally would like it to remain higher but can understand the need to drop back to $3000 for Saturday racing, however a $5000 limit still should apply for carnival racing. Disagree. Both WSP’s and on course bookmakers should have enough confidence in the prices that they display to take bets from all parties, whether it be a punter or fellow bookmaker. The whole idea of excluding anyone wishing to wager makes the marketplace inactive, dull and boring which leads to a higher percentage by bookmakers, decreased turnover and an increased lack of interest by professional punters. Bookmakers betting back with one another creates a surprising amount of market stimulation and turnover. The art and skill of trading by WSP’s has been very sadly lost in the modern day marketplace. I would love today’s risk managers to sit down with legendary bookmakers like Mark Read or Dominic Beirne. These two men were not only fearless in the betting ring but understood the need to trade money in order to profit. They lived and died by their own opinion. Racing jurisdictions make it far too easy nowadays for WSP’s to hide behind a call centre in Darwin treating Racing’s customers as they like. Disagree. Just an excuse for bookmakers not to bet. No one is forcing them to extend credit to a client if they don’t want to. Disagree. TABCORP will hide behind this rule to continue the shameful act of reducing limits on fixed odds betting to virtually $0 in agencies where they feel a professional punter is betting. This is a blight on the industry and should not be allowed. TABCORP should be working to put better systems in place to ensure their risk limits are managed more appropriately. Disagree. WSP’s will hide behind this rule. Once again bookmakers should have the confidence to accept bets from all parties. It is very hard to prove who is a commission agent and who is not. Who makes the final decision ? Agree, as long as the ID and verification requirements are reasonable. William Hill for example require tax returns, bank statements, phone records etc. This is a complete invasion of privacy and obviously just another way a WSP is trying to get around doing what their core business is – BETTING. 16. Excluded customer – Customers whose accounts have previously been closed by WSPs for integrity concerns/regulatory issues etc. Agree, as long as it is legitimate. Disagree. Completely inadequate and to be honest makes me embarrassed to be part of the industry in Australia. What gives the WSP’s the right to be able to frame their markets days in advance of a race and then have no obligation to have to accept a bet ? As punters you are asking us to invest our time and money in to creating POSSIBLE money making strategies so we can turn money over, yet you want us to wait 30 mins before a race before we can invest. Nobody is making the WSP’s frame a market prior to 30 mins out from the race. This is their choice. WSP’s are framing their markets days in advance, rejecting bets from punters who they deem to be smart and adjusting their markets accordingly. 30 mins out from a race, when the on course bookmakers frame their opening market, the prices have already been set for them in essence by the ‘smart’ punters who couldn’t get the set for a decent amount of money. As I said before, no one is forcing WSP’s to put their prices up prior to the 30 min mark and to be honest I think the marketplace would be better off if they didn’t. Disagree. This is even more embarrassing than the 30 min rule. If a WSP is too afraid to lay a horse to lose $1000 in the last 2 mins of betting then they should hand in their licence straight away. No serious professional money will exist in the fixed odds market place in the years to come if these petty rules are introduced. Open the marketplace up and let everyone bet. My personal experience with Racing NSW’s MBL has been very positive. William Hill and Classicbet are the only two corporates that I am still not able to trade with on NSW racing. In my opinion the WSP’s have had too much influence on the proposed limits and restrictions in RV’s MBL. If RV are serious about protecting punters serious changes need to be made to the proposed MBL. ‘Closed’ on course betting rings (there were only 6 on course rails bookmakers at Caulfield on Saturday), higher bookmaker percentage due to RV’s taxation policy, decreasing pari-mutual pools and the current practices of many of the WSP’s make professional punting in Australia an extremely unattractive option. Very few punting organisations have an on course presence anymore and the major syndicates are completely disillusioned with the lack of volume in the tote pools in Australia as TABCORP continue to focus on their extremely profitable fixed odds products. I applaud RV for announcing the introduction of a MBL, but if you do not put THE PUNTER, racing’s number one funder first, then you may as well not introduce it at all. 6. Please provide your feedback on a potential MBL for all WSPs internet and telephone betting (any one Win, Win/Place or Each-way bet to lose $1,000; any one Place bet to lose $500): $1,000 on non-metro meeting seems fair but all bookmakers with turnover over $5 million a year should have to lay horses to lose $2,000 on metro racing. The bookmakers with $5 million plus turnover all have large holds – some massive, they can easily handle 2k metro limits. 7. Please provide your feedback on a potential MBL for Victorian Bookmakers (on-course face to face) – Metropolitan Rails (any one Win, Win/Place or Each-way bet to lose $3,000; any one Place bet to lose $1,500): Considering that the on-course ring is sadly shrinking rapidly I feel that this is fair enough and gives on-course bookies a better opportunity to manage their books. 8. Please provide your feedback on a potential MBL for Victorian Bookmakers (on-course face to face) – Other metropolitan areas and all areas at country meetings (any one Win, Win/Place or Each-way bet to lose $1,000; any one Place bet to lose $500): Considering that the on-course ring is sadly shrinking rapidly I feel that this is fair enough and gives on-course bookies a better opportunity to manage their books. 9. Exclusion – Multi’s where the bet is not exclusively constituted on VTR product: Yes. 10. Exclusion – All bets where both parties to a betting transaction are either WSPs, On-course Bookmakers or a combination of both: No. Bookmakers should be allowed to bet with each other. The one bet per horse at the price rule will solve the problem of bookies following other punters. Corporate bookies have been betting with on course bookies for years so there is no need to change the dynamic. 11. Exclusion – Punters betting on credit: This should be left open to the discretion of the bookmaker. But if they do not wish to offer credit to a punter then yes, the punter must be in credit in their account. 12. Exclusion – Exchange bets: Yes. 13. Exclusion – Retail cash betting: Yes. 14. Excluded customer – Punters who act as commission agents: No. Far too grey area and allows bookmakers to avoid MBL by claiming someone is a commission agent. 15. Excluded customer – Customers who have established accounts who have not yet completed the identification and verification requirements: No. Bookmakers will use this to get around MBL. What rules they have around betting before identification and verification requirements should be the same for all punters. 16. Excluded customer – Customers whose accounts have previously been closed by WSPs for integrity concerns/regulatory issues etc. : Yes, but RVL must investigate these situations and find real evidence of integrity concerns. It’s another grey area where bookmakers will abuse the rule to avoid MBL. 17. Commencement of MBL – on the day of the relevant race commencing 30 minutes prior to the Advertised Start Time (AST) for each particular race: NO! This would be a diabolical result for punters as we would miss out on so much value as the market moves while we’re banned from it. It goes completely against the RNSW rules (which you quote as the benchmark) of 9am on race day and 2pm on night meetings – this rule has worked well and even though it still disadvantages punters we have accepted it. Under the RNSW rule bookmakers still have the advantage of seeing how the market moves in previous days (many bookmakers have prices up 1,2 or 3 days before a race) before they are obliged to bet punters from 9am. This price discovery that bookmakers have is a real disadvantage to punters but we accept that we will always be disadvantaged – but this rule you put forward is insulting and would instantly end all the good will that was created when you announced your MBL plan. The fury that has been directed towards you and corporate bookmakers for over 5 years now would continue and we would reject entirely that you have listened to your customers and introduced a MBL. Online bookmakers are highly sophisticated these days and the majority are linked up to Dynamic Race Odds or other odds comparison sites and instantly firm horses when they firm with another bookie. They can handle their liabilities with ease – they must bet all punters from 9 am up until jump time. 18. Cessation of MBL – 2 minutes prior to the AST for each particular race: NO! Just as bad as the proposed rule above. The market moves the most in the last 2 minutes. Betfair kicks in and bookies start to push horses they are keen to lay. A horse that might be $2.50 with bookmakers with 2 mins to go can easily drift out to $3.50 with bookies in the 2 mins to jump time. Locking out some punters during this time is deeply unfair. Bookmakers only have to bet one person at the price they display which protects them from getting too large a liability. Any bookie that tells you otherwise is lying to suit their own lazy bookmaking. 19. Number of MBL transactions with each eligible customer limited to one betting transaction per runner in each race: Yes. This is unfair to punters as a bookmaker who puts a price up should be willing to lay it to anyone – however, considering that we have to cede some ground we can accept this rule. 20. Complaints and enforcement process – online submission to RV inclusive of a declaration that the complaint does not relate to one of the exemptions: Yes, however Tom Waterhouse as CEO of William Hill has been dishonest and evasive in his obsession with disobeying RNSW min bet law. His latest move is to deceptively claim that he suspects punters that he doesn’t want betting with him are terrorists or or organised crime figures and he has to report their financial activities to Austrac. He demands 3 years worth of incredibly detailed financial records off punters. No punter should have to give him that and many punters don’t even have the records he requires so have no hope of meeting them. Please be ready for him and his legal team as the do everything to avoid your authority. ClassicBet have also seemed to follow his lead. 21. Racing Victoria invites respondents to provide comments on the issues raised in the MBL consultation paper: Victorian racing is the best gambling market in the world. We as punters are desperate to stay involved. 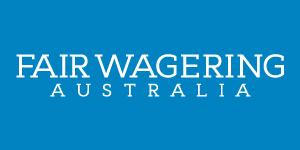 At the least you must follow RNSW min bet laws – they are working very well for both punters and bookies. What you have proposed here is a watered down version. We deserve, and with respect, demand better. The bookies already have so much advantage. Many thanks for introducing a min bet limit and your consultative approach.